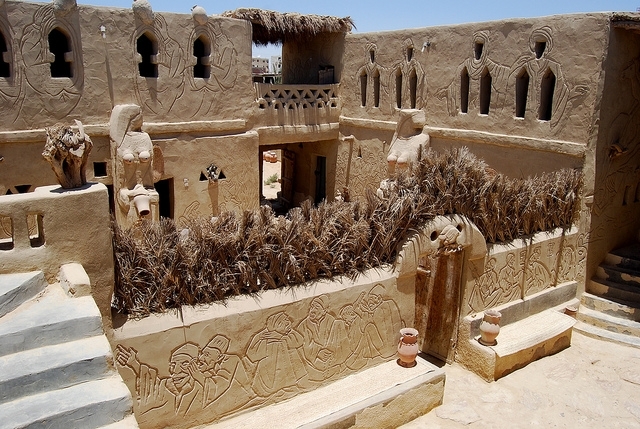 Badr is a local artist and entrepreneur who has fared rather well in recent years. 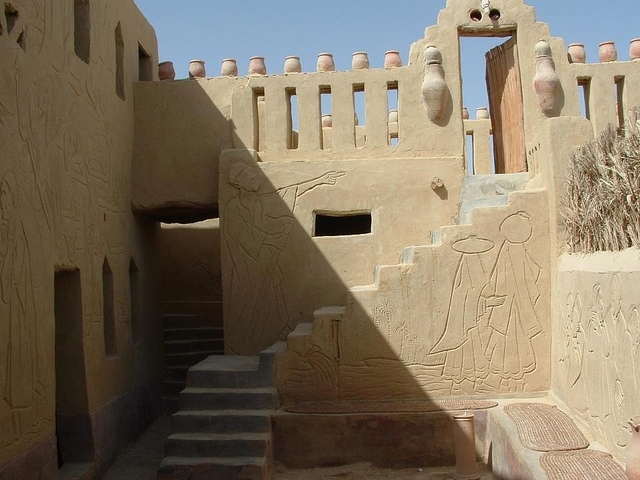 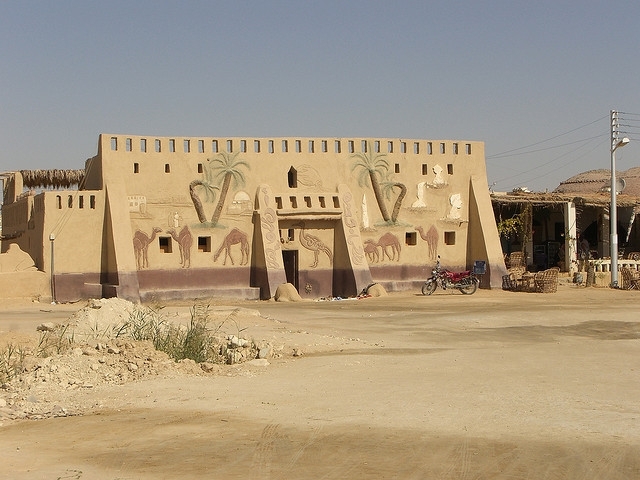 His original small but interesting museum, which was located in the village of Qasritself, has been abandoned for a wonderful mud brick structure that the built himself. 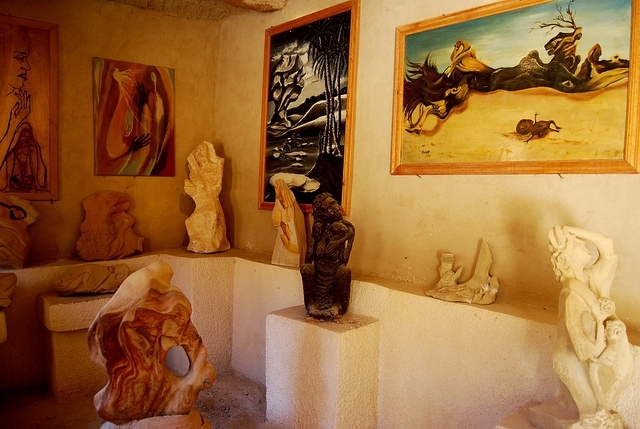 Inside is everything from taxidermy to sculpture, and paintings are on display. 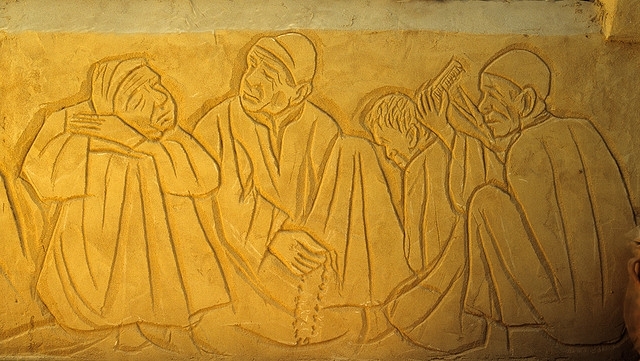 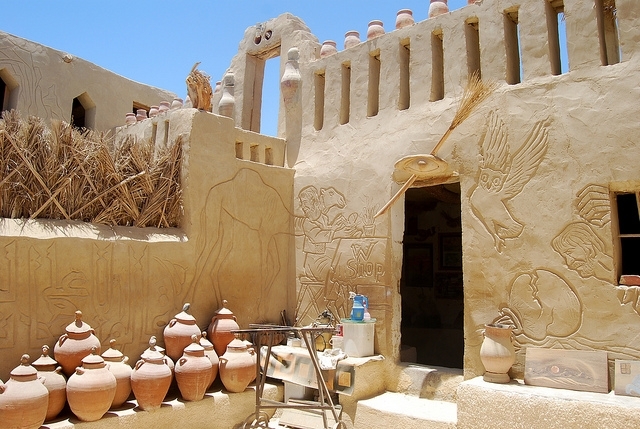 There are also examples of some of the wildlife of the oasis and photos.It is Badr who is responsible for the unique wall decorations found in the village. 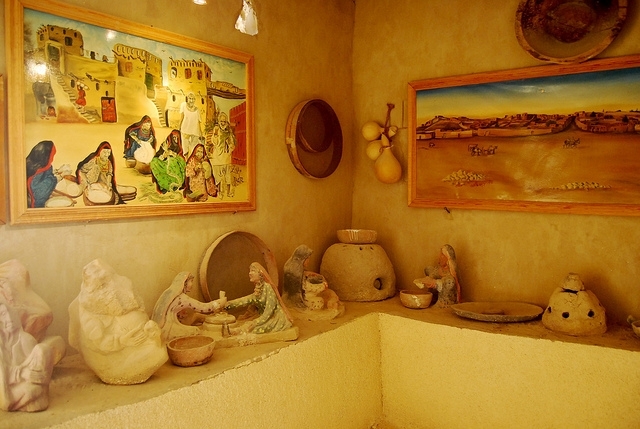 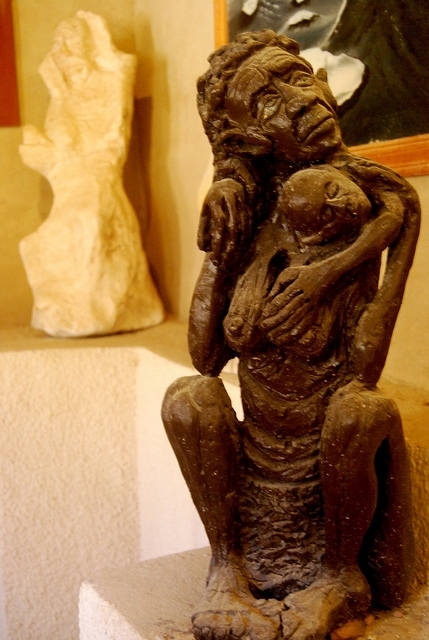 It is a combination house, museum and studio exhibiting his paintings and ceramics are situated in a garden full of sculptures made from objects found in the surrounding desert.